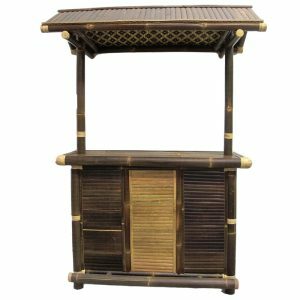 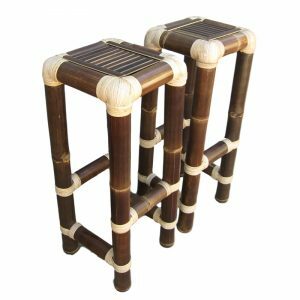 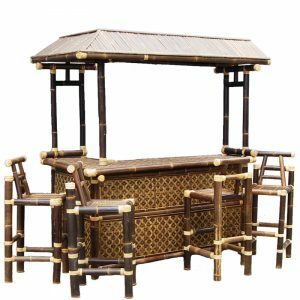 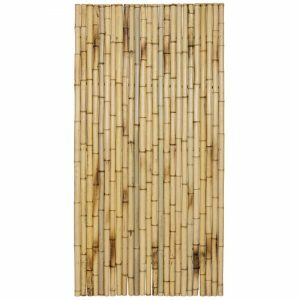 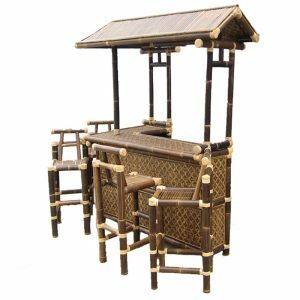 Complete the look by adding bamboo capping to the tops of your bamboo panels, available in both cream and black. 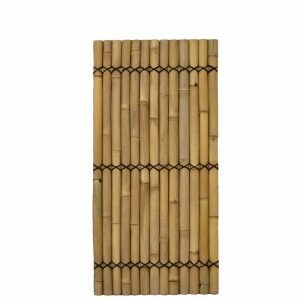 Its easy to attach and long lasting. 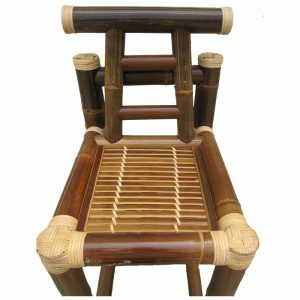 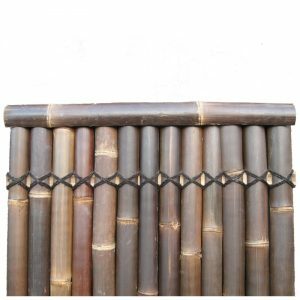 Made from responsibly sourced plantation bamboo which is fast growing & renewable. 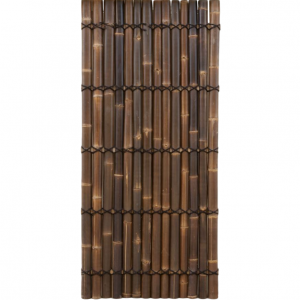 Known for being an extremely beautiful bamboo with a rich golden colour – preferred by garden designers. 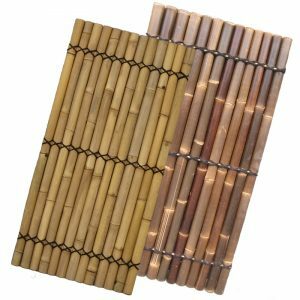 Sekits original panel and the first double sided bamboo panel to be sold in Australia, introduced by us back in 2003. 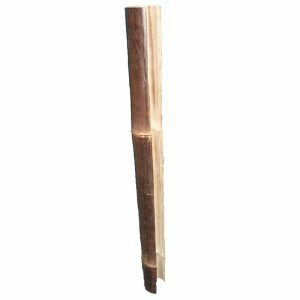 Diameter of each pole varies from 35 to 50mm thickness; this size makes it light enough to handle as a full raft product while still maintaining its strength. 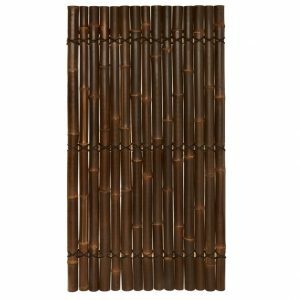 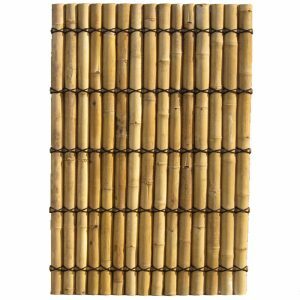 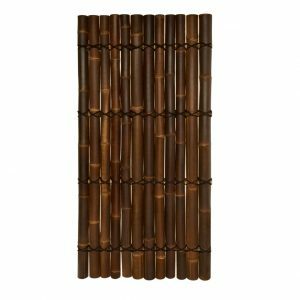 Large diameter bamboo is chosen for its thick interior walls making this panels extremely hard wearing but also heavier than other bamboo panels. 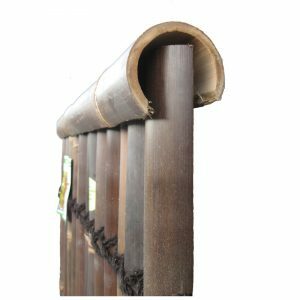 Long lasting and durable product that requires minimal maintenance, it is suitable for all parts of Australia. 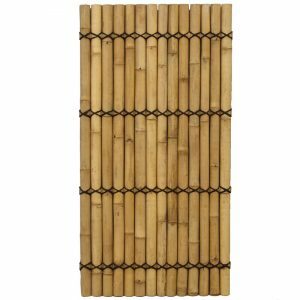 The ‘half raft’ style almost eliminates cracking, reduces the panels weight and also makes it easier to secure to a fence. 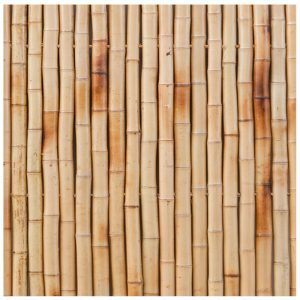 We highly recommend this product – minimal maintenance and minimal signs of aging and colour change, it is ideal in all parts of Australia. 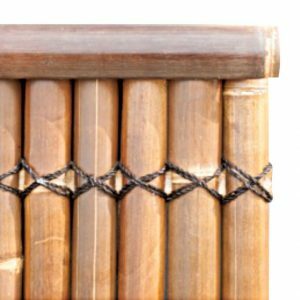 The ‘half raft’ style almost eliminates cracking, reduces the panels weight and also makes it easy to secure.